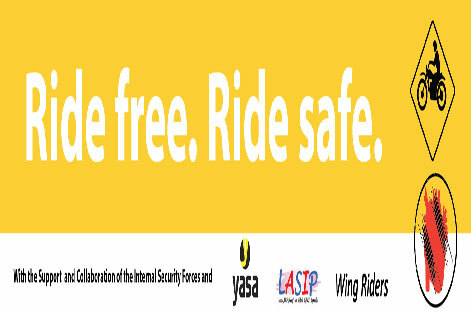 YASA International, an International Non-Governmental Organization, seeks through its efforts to create a greater level of safety awareness and commitment from all people in order to reduce the global burden of unintentional injuries. It supports strategies to improve international cooperation for safety promotion and injury prevention. The organization launched from Lebanon in 2002 the Middle East Campaign for Accident Prevention (MECAP) which was successful in building effective partnerships with many public and private agencies in the region, especially with media and educational institutions. The organization works to persuade policy-makers and decision-makers of the immediate necessity to treat Injury Prevention as a major public health issue and to adopt the universal concept of 6Es, based on cross-sectoral collaboration, as a new approach to reduce RTI. YASA International provides social support to the bereaved families. It counts on their active participation in the safety promotion movement in the Middle East. The report, prepared by the organization, entitled “International Cooperation to Improve Road Safety” is an important response to the underestimation of road safety by many national and international agencies. The report is directed at all policy-makers in various sectors such as public health, education, transport, media, law and other sectors, and aims through this to push efforts for better road safety for all. 1. Increasing Arab cooperation for better road safety like what is done in Europe. 3. Promoting the Youth Declaration for Road Safety through a dynamic website that works on involving the youth in road safety promotion. 1. World Health Organization – WHO EMRO. This MOU has covered the cooperation in various safety issues among which is the research. 2. UN – ESCWA (18/12/2006): This MOU included the cooperation with ESCWA in the several activities that were organized in the region for the occasion of the UN Global Road Safety Week that took place between 23 and 29 April 2007. Since summer 1998, YASA prepared and edited one page A3 Size in a bi-monthly poster about safety promotion that is posted in all Lebanese Army locations in Lebanon. Since 1999, YASA has also participated in more than 200 conferences about safety promotion that were given to different groups of the Lebanese Army among which are: trainees in the military school, new officers, and military service attendees. YASA has reached more than 100,000 members of the Lebanese Army. Moreover, since January 2000, YASA has participated in more than 50 conferences about safety promotion for the Lebanese Internal Security Forces (ISF); attendees were from trainees in the military school, new members, and officers. Ever since the first national conference in October 1998, YASA Lebanon has received distinguished guests who are experts in Safety Promotion from the following countries: Algeria, Egypt, France, Germany, Kingdom of Jordan, Kingdom of Saudi Arabia, Qatar, Kingdom of Morocco, Sweden, United Arab Emirates, United Kingdom, United States of American, Switzerland, Sultanate of Oman, Tunisia and Syria. YASA also organized and participated in a series of visits to the leaders of public and private organizations concerned with road safety in many Arab countries such as: Algeria, Jordan, Qatar, Morocco, Tunisia and Syria. Since April 1997, YASA Lebanon prepared and distributed around 10.5 million fully colored printed materials which include: 80 leaflets, 10 competitions, 15 Awards and 11 posters. The distribution was to participants in safety promotion interventions in most educational institutions working in Lebanon and in neighboring countries. YASA and LASIP (www.lasip.net) are also addressing maritime safety and maritime injury prevention issues. It has also given lectures and presentation on Maritime Safety all around Lebanon and some neighboring countries. YASA is now publishing an Arabic Bi- Weekly Specialized Newspaper with Naharshabab every other Thursday and an English Specialized Newspaper with the Dailystar, and with Orient Le Jour newspaper in French.